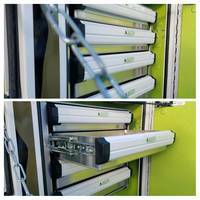 Drawer Slide System is compatible with Vidmar® cabinets. VIDMAR® Drawer Slide System is suitable for automotive, military, heavy equipment, manufacturing and agricultural applications. Unit comes in 440 lbs weight capacity and features channel design which offers grip on drawer slide. Product is made in USA. Full Extension Slide features lever disconnect. Available in even lengths from 12-28 in. with clear zinc finish, Model 3657 offers load rating up to 273 lb. Handed slide with lever disconnect provides durable solution for heavy pullouts such as bulk storage bins, trays, and deep drawers as well as chassis used in machinery or vending applications. Over Travel Slide features latch disconnect. Available in even lengths from 12-30 in. with clear zinc finish, Model 3357 offers 1 in. over travel and latch disconnect. 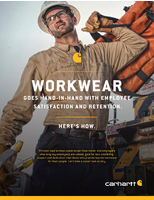 Unit carries medium-duty loads up to 150 lb and provides full access to storage drawers and trays in industrial workstations and machinery, medical equipment, and electronic enclosures. Self-Closing Drawer Slide offers 100 lb load rating. Interlock System allows only 1 drawer to open at a time. 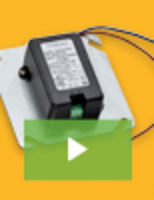 Drawer Slides withstand corrosive environments. 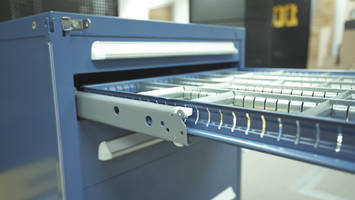 SS Drawer Slides operate in high temperatures. 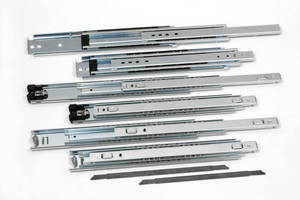 Drawer Slides suit light or heavy-duty applications.